Need a fresh, new copy of Pearl Jam classics? ‘No Code’ and ‘Yield’ plus a slew of 7″ drop Friday 9.2.16. Check all the product information, below. The 1996 sessions for No Code featured longtime producer Brendan O’Brien (his third consecutive collaboration with the band) and drummer Jack Irons, who’d joined Pearl Jam at the end of the Vitalogy sessions. They explored new approaches to writing and recording, developing songs out of jam sessions and eschewing their stadium-rock style for self-examining ballads, garage rock and even psychedelic sounds. No Code became the band’s third consecutive No. 1 album, with lead single “Who You Are” topping Billboard’s Modern Rock chart. To celebrate the 20th anniversary of No Code, Pearl Jam is pleased to reissue the highly sought after album back on vinyl. This is the first time the album has been available on the format since its original 1996 release and the first time the album is being mastered specifically for vinyl, by Grammy Award-winning engineer Bob Ludwig. The reissue will also feature recreations of the album’s original packaging, including the set of nine random replica Polaroid/lyric cards. 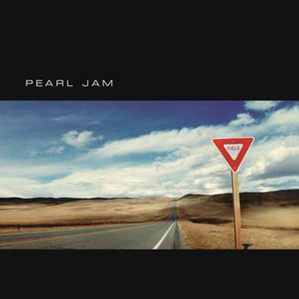 On 1998’s Yield, Pearl Jam and Brendan O’Brien teamed up once again for a spirited session marked by the breakthrough of band members (guitarists Mike McCready and Stone Gossard, bassist Jeff Ament and drummer Jack Irons) bringing in finished songs for Eddie Vedder to add his signature lyrics to. 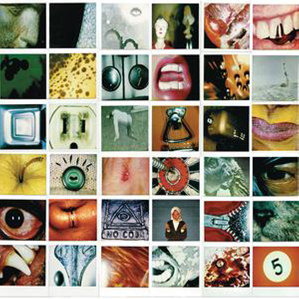 With a more accessible mainstream rock sound and a full-scale tour (and replacing Irons with Soundgarden drummer Matt Cameron, the band’s drummer to this day), Yield became the band’s fifth straight album to be certified platinum by the Recording Industry Association of America. Pearl Jam is pleased to reissue the highly sought after Yield back on vinyl for the first time since its original 1998 release in celebration of the 20th anniversary of it’s 1996 predecessor No Code. The album has been mastered specifically for the vinyl format, by Grammy Award-winning engineer Bob Ludwig and features a recreation of its original packaging. Vinyl pressings of Yield currently command triple-digit prices on the secondary market. The original singles from the album are also being released separately on 7″ vinyl.